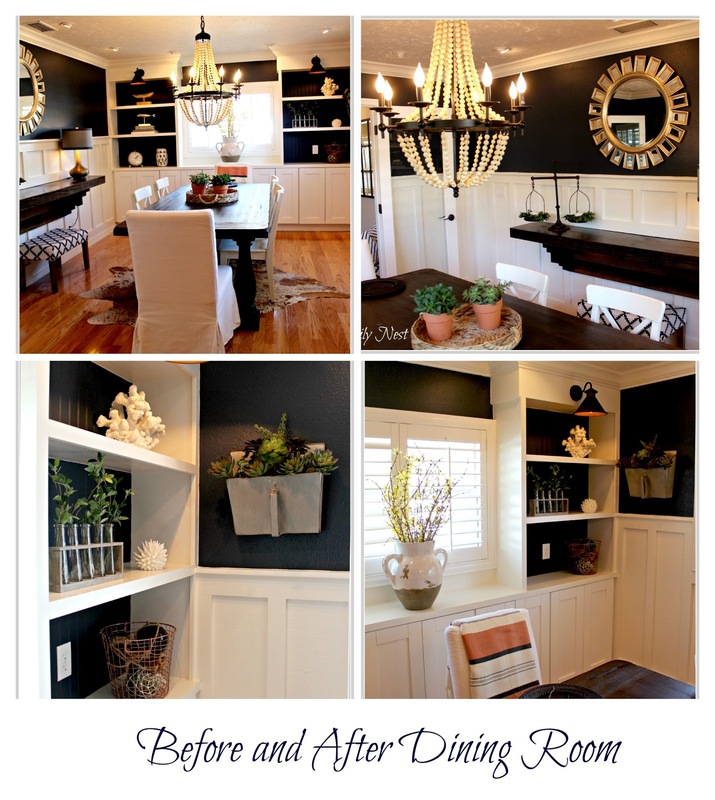 Before And After Dining Room! 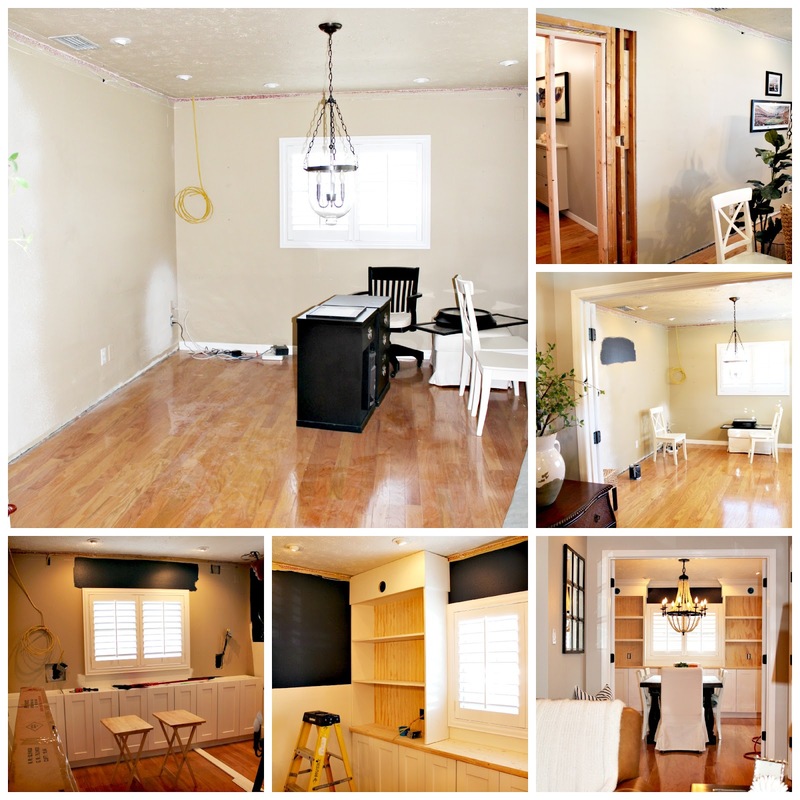 The Daily Nest: Before And After Dining Room! 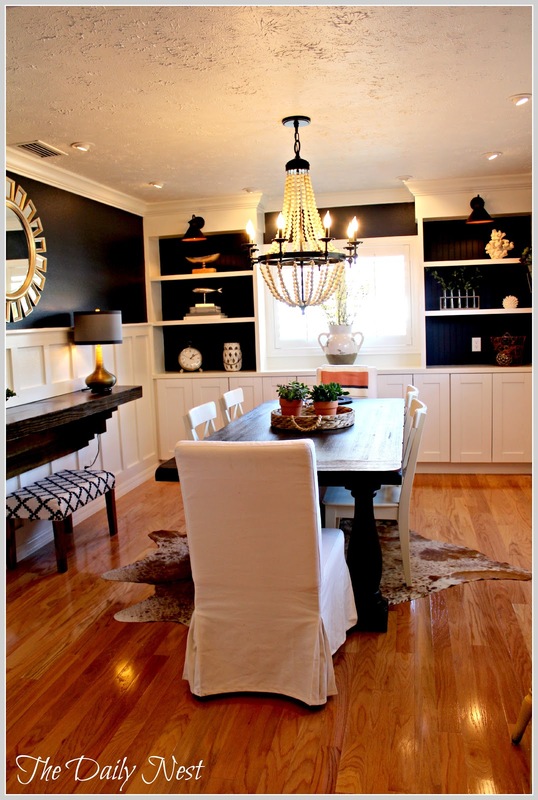 Before And After Dining Room! 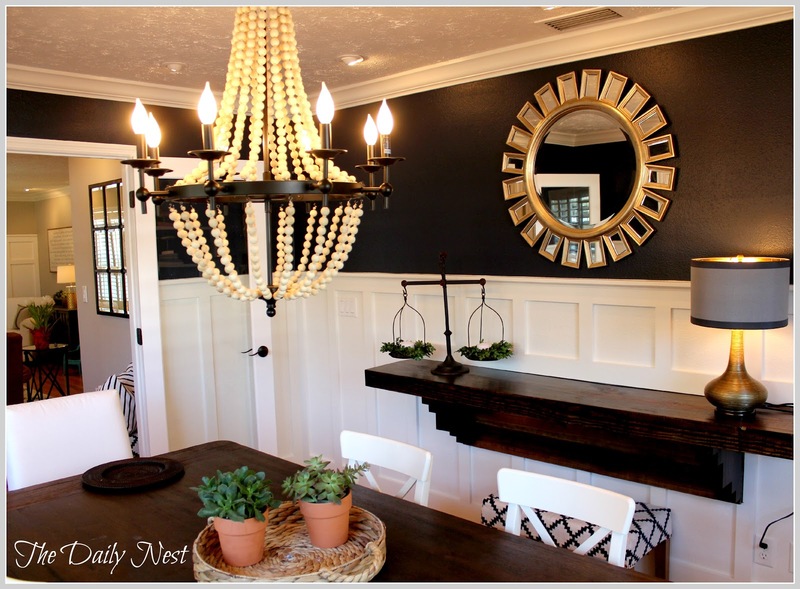 If you've been following along you know that the new dining room is finally complete! My last post I showed you the after pictures, but I hadn't added any accessories to it and I wanted to put all the before and after pictures in one post. I'm not sure if I've ever mentioned this before but this room was our master bedroom when we first bought this house back in 1987! Then it became our sons room, and then when he moved out an office! Whew! I'm tired just thinking about it! But the way I figure it it's been cheaper than moving. And we've always loved our house, so it's worked for us! It's crazy to see how far this room has come and to save you time from having to scroll through so many progress pictures I made a collage for your viewing pleasure! Remember it had a door to the hallway that we closed up. 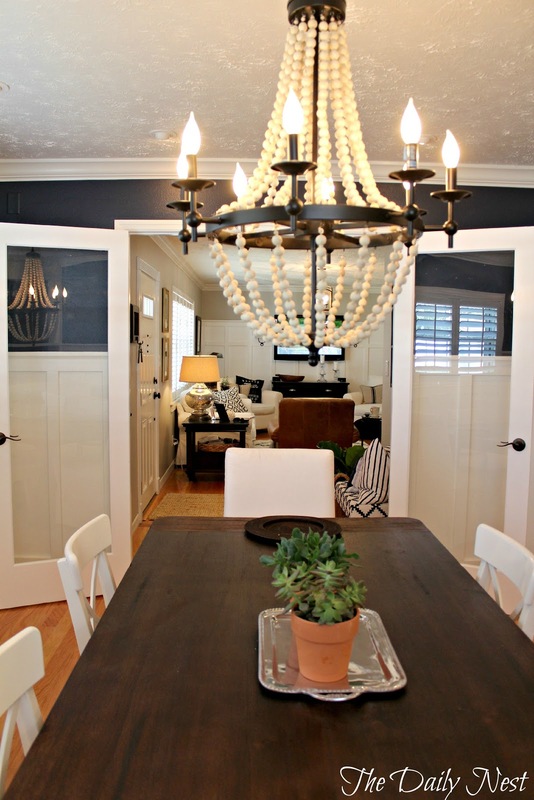 And it already had the double french doors opening to the living room, so a dining room made sense. 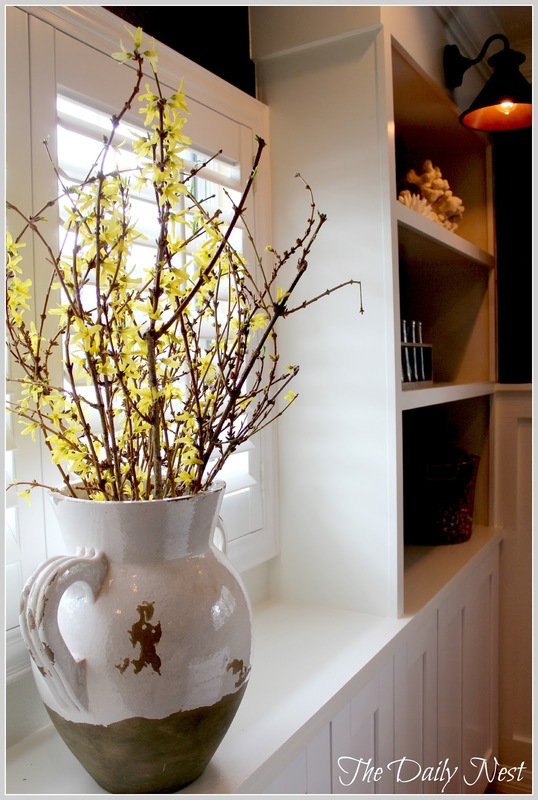 We added the built ins and board and batten and painted the walls Benjamin Moore's Hale Navy. The blue and white combo is so classic, I love it! 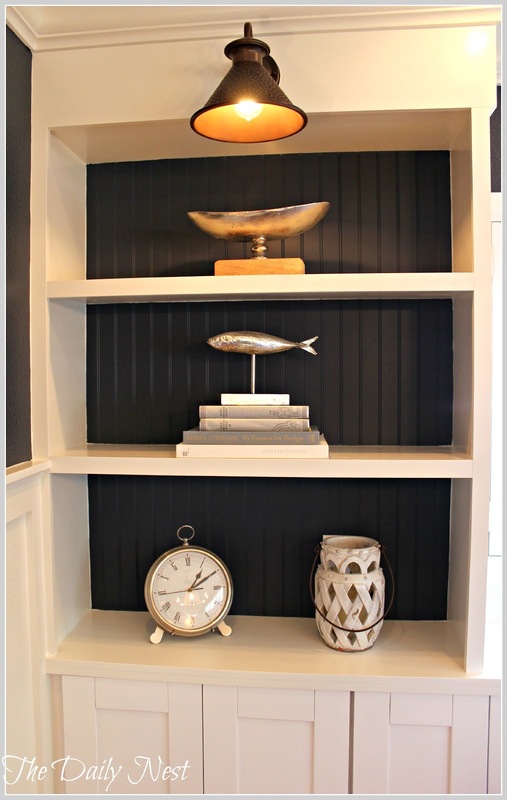 I decided on painting the bead board in back of the built ins navy as well and I'm so happy I did! 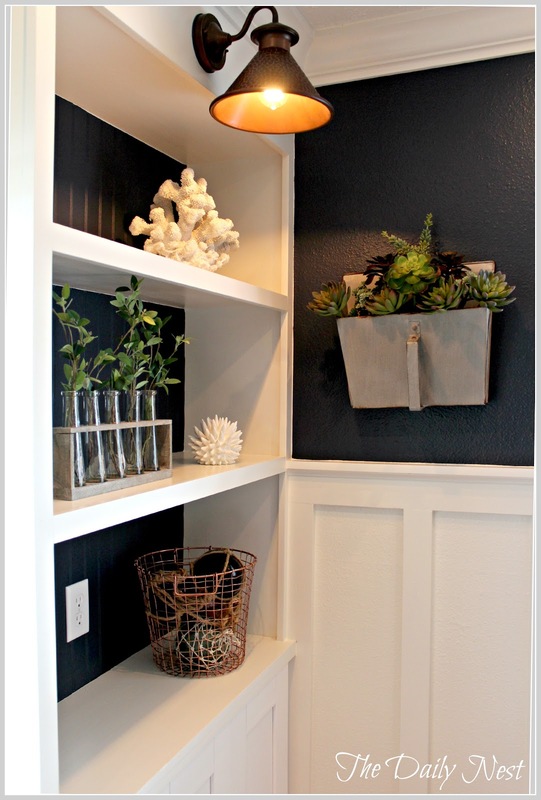 The room has a coastal feel so I added a couple pieces of coral and a basket of antique Japanese floats. 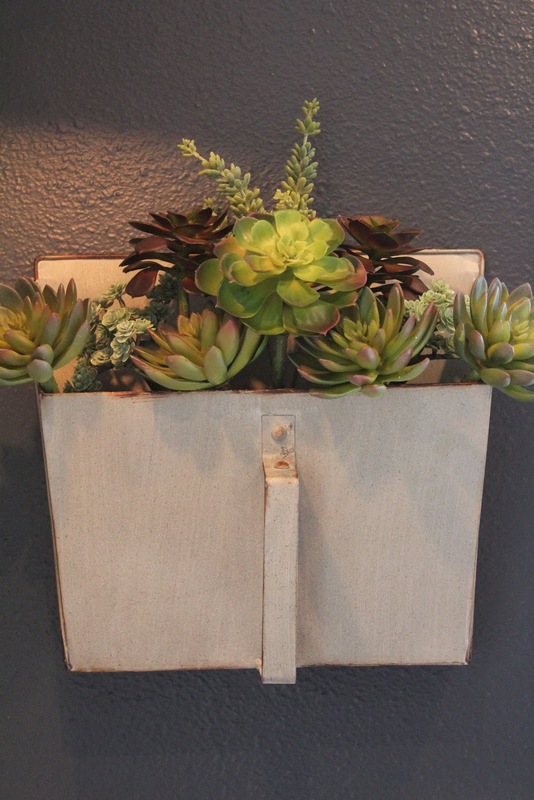 I found the vintage glass bottles and dust pan that I filled with succulents from The Magnolia Market. You know that amazing show Fixer Upper! That's right! They have an online shop! 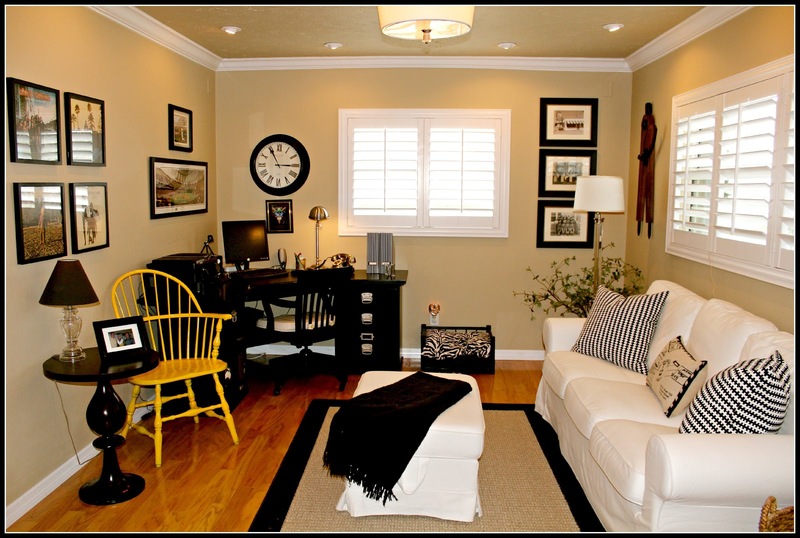 I plan on keeping the decor to a minimum so it doesn't start to look too crazy jumbled! I'm sure they will change as often as I change my clothes, but for now I love them just the way they are! 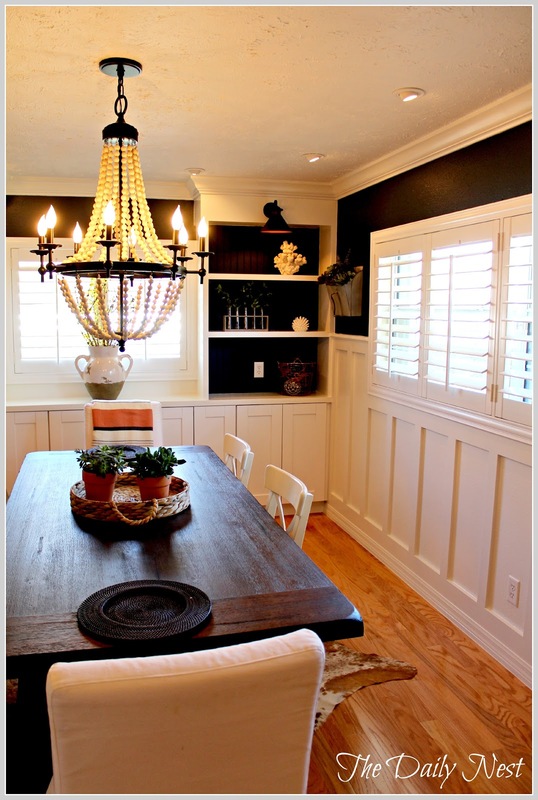 The chandelier is from Overstock and it's a real statement piece! Everyone that comes into the room loves it! 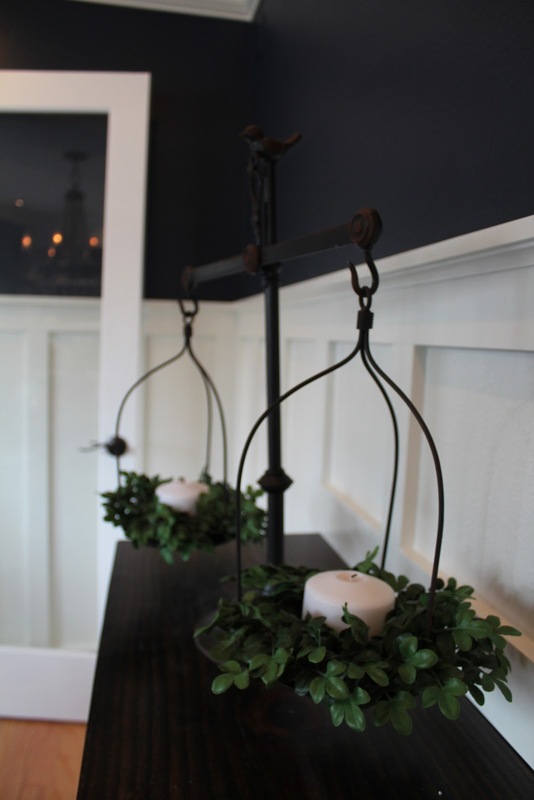 Little boxwood wreaths and candles are added to the iron scale. The farm table is from World Market and is large enough for 6-8 people. I'm so excited to try it out hopefully soon! My favorite spot by far is this space between the built ins. It gets great sunlight and I'm sure it will always have fresh flowers or plants on it! I'm searching for a beautiful terrarium to place in this spot. Thanks for stopping by and taking a look around! Don't forget to pin this to your projects board!